is that to be what we must want? Aside from being an occasion to pull someone’s leg, April Fool’s is a good day as any to wonder what leg our beliefs stand (or sit) on. The sculpture Contro Natura by Salvatore Crita (1828-1912) at the Pitti Palace in Florence makes my Inner Fool grin. 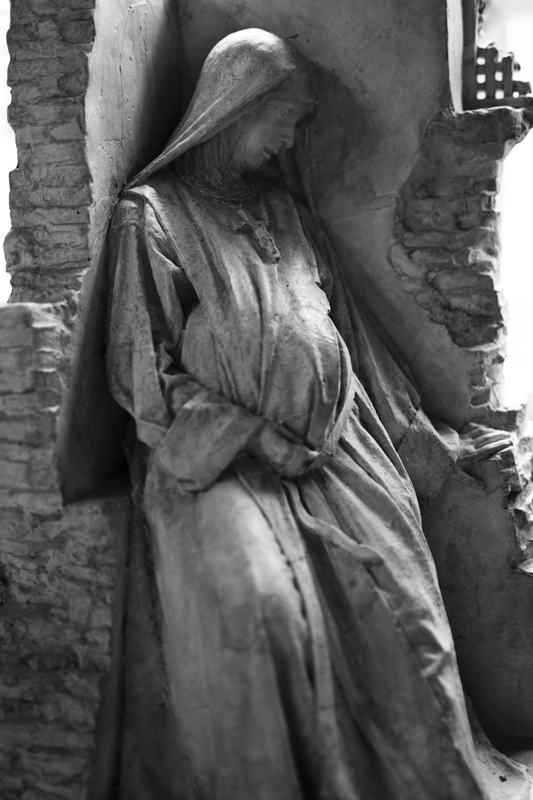 What IS against nature: A pregnant nun or a woman who swears off her natural biological function? In the Boboli Gardens, a giant reclining figure covered in blue bandages stares into the distance. Why do we call it cosmetic or plastic surgery when it involves pain beyond mere cosmetics and human flesh isn’t plastic? 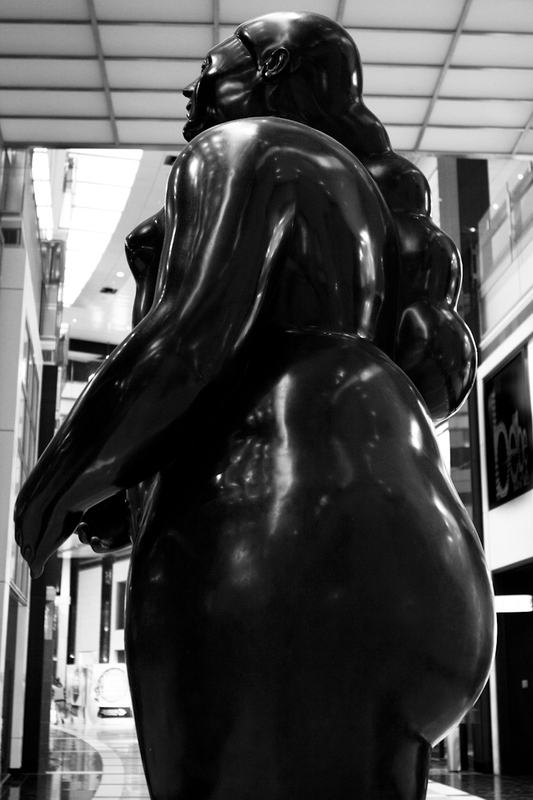 Closer to home in our land of anti-fat, Botero’s sculptures stand proudly curvaceous and unapologetic. Who determines the “correct” size and shape of all women? Who wields the power to define beauty and who profits from feeding our insecurities? A skinny ballerina “sculpture” blows me a kiss, a wink and a smile. She’s not telling who’s fooling whom. What does your fool wonder about? Find the comment link beside the title of this feature. A very important topic and one I have had a strong and verbal opinion about for many years. If I find myself physically attracted to a woman it is for the way she is, I don’t look at her and think about what I would change. If those thoughts are there then maybe you should look elsewhere! Of course I believe that many woman may not be totally happy with their appearance for one reason or another, but it is her choice to make changes not mine or any man. I know a woman that had told me of things she did not like about her appearance. Then do something about it if you feel that strongly, I told her. My expressed opinion to her was; don’t change anything, I love you and think you are beautiful the way you are, perfection in my eyes. Even more importantly I told her, don’t ever change your body because some man wants you too. Make choices that are right for you. “It’s beauty that captures your attention; personality that captures your heart”, author unknown. Women are very lucky to have loving mirrors in men like you, Mountain, who remind us of how lovable we are just the way we are. Like you said, it is an entirely different matter what and whom a woman chooses to believe. Thank you for sharing!